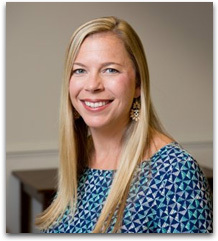 Kelly T. Lasky serves as the City of Roanoke Rapids Planning and Development Director with the primary responsibilities of performing managerial, administrative and professional planning work in directing the activities of the Department. Kelly is a graduate of UNC-Wilmington with a degree in Environmental Studies with coursework in Parks & Recreation. After graduation, Kelly began her career in land use planning as a planner for the Town of Wrightsville Beach. Later in 2008, she moved into the private sector and took a position as a staff planner at Rivers & Associates with the primary responsibility of comprehensive plan development. She was part of a team that assisted in the preparation of planning documents such as the Beaufort Bike Plan, Ahoskie Bike Plan, and Hertford County Recreation Plan. During 2011, Kelly served as an interim planner for the City of Roanoke Rapids, which provided her the opportunity to return to municipal planning. Kelly is responsible for organizing and managing planning and development activities including current and long range planning programs, economic and community development programs, code enforcement and minimum housing programs. During 2013, she completed the UNC School of Government’s Leading for Results program as a Local Government Federal Credit Union FELLOW.